The Admin Pouch with Helium Whisper™ Attachment System keeps administrative and everyday useful items close at hand in a lightweight, low profile utility pouch to keep from getting in the way of essential gear. Lightest in class with as much as a 50% weight reduction over comparable admin pouches. Designed to fit the Rite in The Rain Leader's Notebook (approx. 5" x 8"). The Patent pending Helium Whisper™ attachment system is compatible with all MOLLE platforms and built with a combat tested, high performance laminate that reduces weight 20 to 50% while equaling or exceeding the durability of 1000d CORDURA®. ODIN – Large Utility Pouch fully MOLLE compatibleManufactured from 500D Cordura, providing the same .. 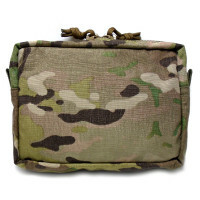 Manufactured from 500D Cordura, providing the same strength & abrasion resistance as its big bro..
ODIN - Medium Utility Pouch fully MOLLE compatibleManufactured from 500 Denier Cordura MULTICAM® fab.. 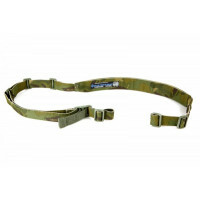 The Patent Pending Padded Vickers Sling combines with the tactical sling capability of the Vickers .. The Ten-Speed Triple M4 Mag Pouch holds three M4 magazines and is the perfect blend of speed and s.. The RED Swivel is a true emergency quick release swivel that allows the user to quickly free himself.. The Double M4 magazine pouch is probably the most ubiquitous pouch in the MOLLE system – now further.. The Double .308 (7.62) magazine pouch is probably the most ubiquitous pouch in the MOLLE system – no.. The Mag NOW! Pouch is an improved version of the classic “bungee pouch.” This pouch is an imme.. The Patented Helium Whisper® attachment system is compatible with all MOLLE platforms and built with..
© 2016 ODIN Tactical ™ - ADDRESS: NORSE Park, Otterburn, Northumberland, NE19 1LP, GB | TEL: 01830 520 714 | EMAIL: sales@odintactical.co.uk.